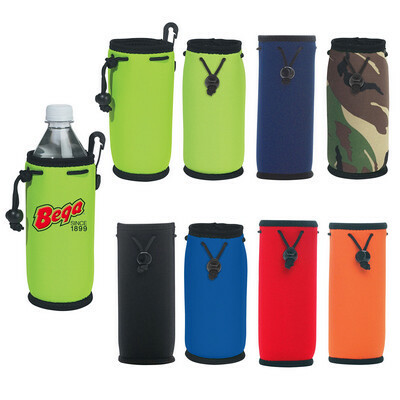 Features: Neoprene water bottle cooler. Features a drawstring to help keep the bottle secure. Price includes : 1 COLOUR 1 POSITION PRINT. Setup is included.